In this video, Maciek Kolodziejczak recalls his 20 years as director of student services with the Department of Public Policy. This is just a snippet of my knee-jerk inner dialogue when I was asked to write something to coincide with my retirement. I do not want to belittle diligence, persistence and initiative, but too often, in my case, reflection and appreciation are short-changed by the relentless pursuit of tasks, responsibilities, email replies and deadlines that voraciously consume my time. I used to have a comic posted on my door, which stated “I email, therefore I am.” It may be funny, but it also contains more than a grain of truth. I am writing this post in an academic environment replete with intense endeavor to provide for the public good and to ensure justice and equity. Nevertheless, I am always reminded of a mentor’s observation that “we are human beings not human doings.” Maintaining the former has been my professional challenge. “Doing” without reflection is just egotism — even if it is for a noble cause. 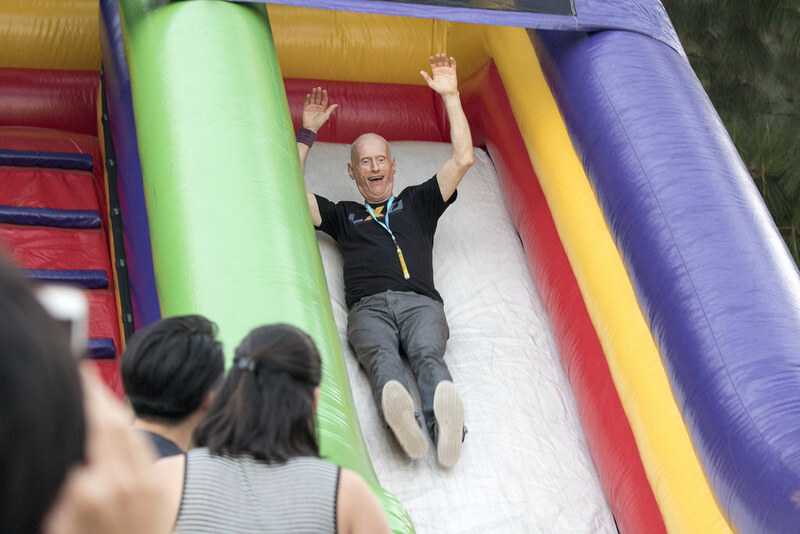 Consequently, I appreciate this time to reflect on my years at the Luskin School. In recent months I have been asked about my accomplishments. I wince at the question because I really don’t think in these terms. This is not false modesty. Achievements are measurable and quantifiable. 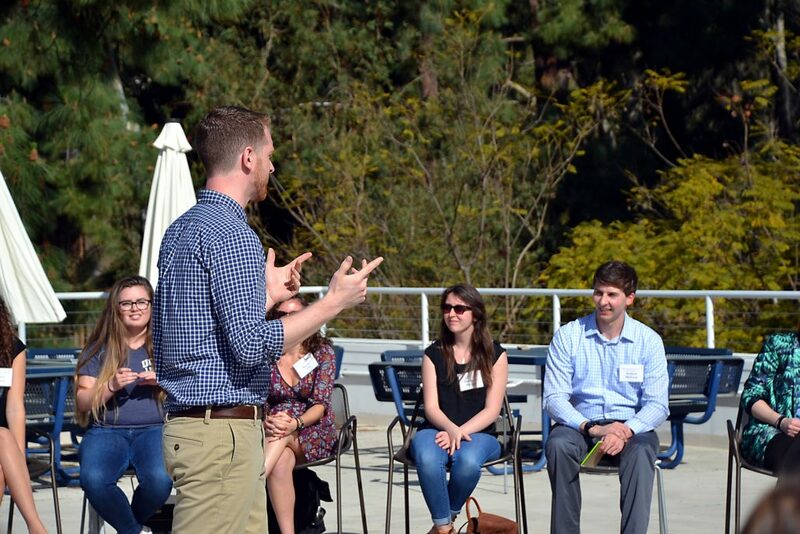 Our MPP students are taught rigorous analytic skills to formulate evidence-based policy. However, as I consider my “accomplishments,” I need to acknowledge that my professional successes have been built on the shoulders of those before me, and on the generous collaboration and support of colleagues around me. Consequently, I claim my effort and diligence but take more pride in my aspirations rather than achievements. 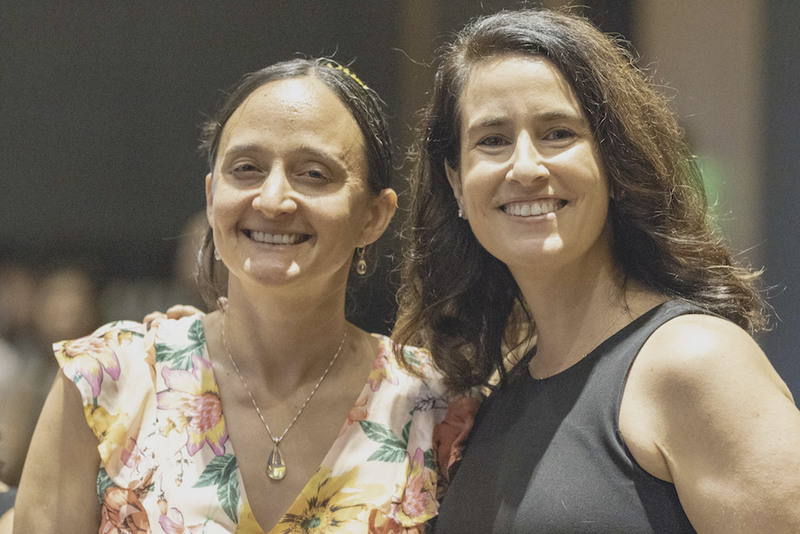 The collective mission and aspirations of the Luskin School’s three departments are what drew me here and what have made my tenure here so fulfilling and gratifying. 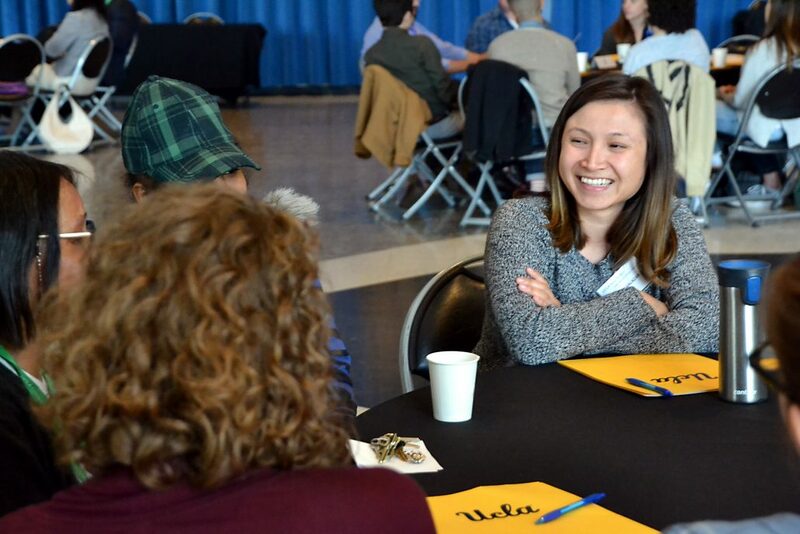 Although I enjoyed my previous work at the UCLA Career Center, I particularly appreciated the undergrads that I was referring to urban planning and social welfare. I facilitated workshops on careers in urban planning and participated in several career fairs host by the School of Social Welfare in the early 1990s. 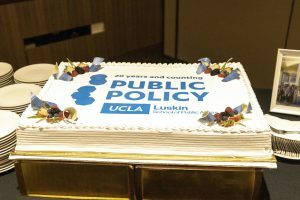 I first heard of a Master of Public Policy (MPP) when I met a UCLA alum who completed his MPP degree at the University of Chicago. Initially I thought that it was an applied political science degree. 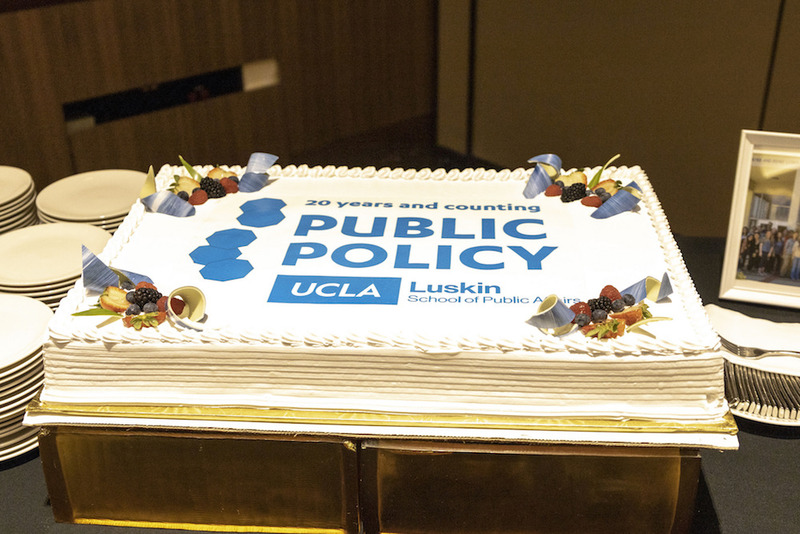 It wasn’t until I came to the Luskin School (then called the School of Public Policy and Social Research), that I came to fully appreciate the rigorous analytic curriculum taught in the MPP degree program and its talented and dedicated students. Becoming familiar with their courses, assignments, Applied Policy Projects and absurdly busy schedules, I gained an unwavering respect for the valuable work they generate. Yet, even more so than their scholastic excellence, I came to appreciate their aspirations, which are reflected in their academics, but also in the various service and leadership activities they pursue. I began my career at the Luskin School along with its then-new Dean Barbara Nelson, whose vision of the new school emphasized solving problems across boundaries, particularly at the growing intersection of the public, private and nonprofit sectors. She also framed this vision of working across boundaries of various types whether demographic, national or organizational. 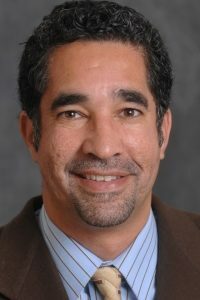 Her successor, Dean Frank Gilliam, expanded this notion with an emphasis on social justice and diversity, which is reflected in his legacy, the D3 Initiative. D3 aims to create a cohesive strategy to bridge differences, understand our diverse society and confront disparities in the field of public affairs. I could not be prouder to be working in an environment in which students, faculty and staff embrace these ideals and aspirations. 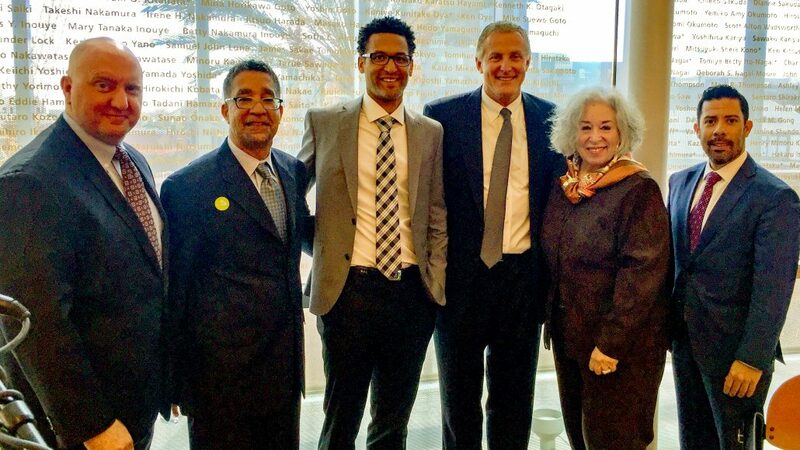 I am equally confident that Dean Gary Segura’s leadership and vision will continue to champion these values. 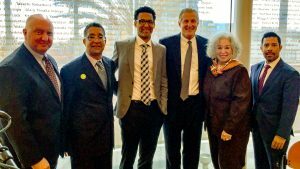 Beyond the visionary deans who led the School these past 20 plus years, I have been blessed with the dedicated and innovative leadership of three remarkable Department Chairs: Arleen Leibowitz, Mark Peterson and Michael Stoll. I appreciate their patience, wisdom and understanding. 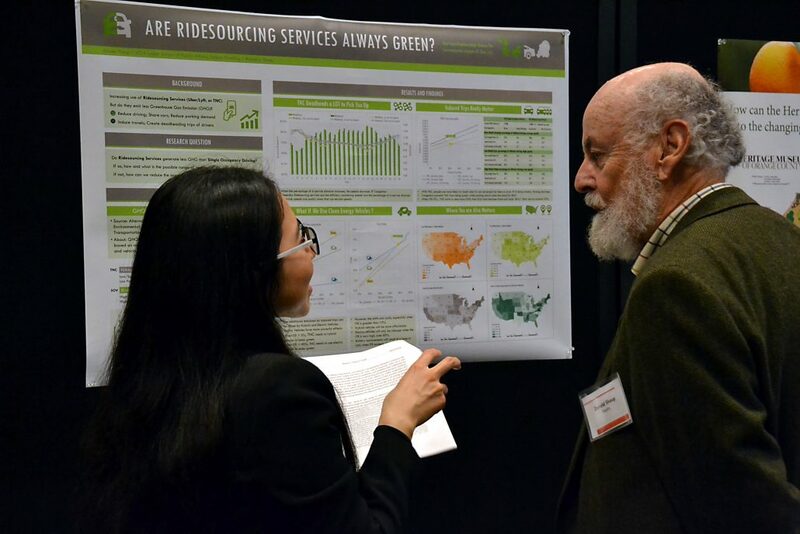 I have been equally fortunate in having the most collaborative and supportive colleagues with Ken Roehrs and Ronke Epps in the beginning, succeeded by Kyna Williams, Nancy Jensen, Dan Oyenoki, Stacey Hirose and, most recently, Sean Campbell and Ervin Huang. You have been a pleasure to work with and made my days here not only productive but also fun and enjoyable. I will stop here because to name all my colleagues for whom I am grateful, this post will become my “One Hundred Years of Gratitude” novel. Suffice to say that the outcome of my reflection on these past 20 years has created a profound gratitude for all the individuals with whom I have worked, collaborated, assisted and who helped me in my endeavors. As our students commence their professional careers, I am heartened by their determination to solve the many problems facing our world today and the many sacrifices they make in following these pursuits. In conclusion, I would like to address a major financial sacrifice our students make in completing their degree. Since I began working here at the Luskin School, tuition has increased 460 percent from $4,366/$13,394 (CA Resident/Non-Resident) in 1996-97 to $24,439/$37,221 in 2016-17. I take every opportunity I have to draw attention to the spiraling cost of education and subsequent alarming student debt. So I am particularly honored in having a fellowship named in my honor. It will provide some vital financial relief to our MPP students. 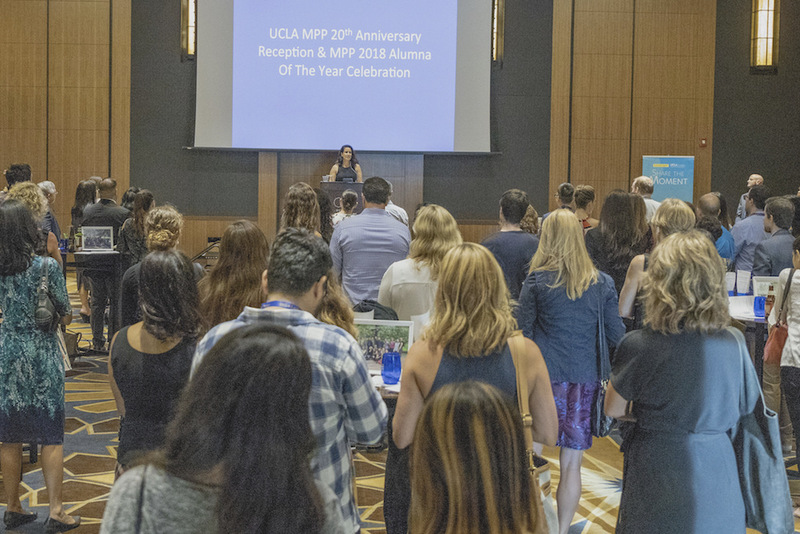 I am humbled by the generosity of the MPP alumni, my friends and colleagues for their considerable donations to this fellowship fund and cannot think of a better way to reward the diligent work and to honor the aspirations of our students. 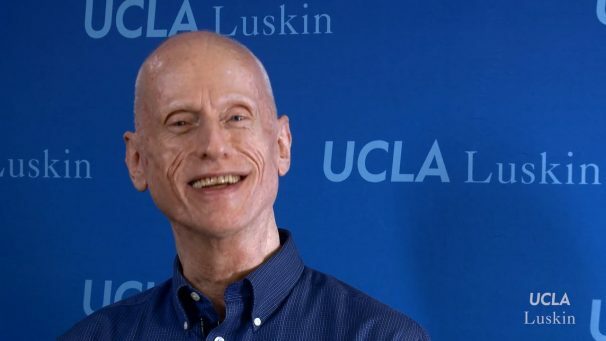 Maciek Kolodziejczak is retiring in June after serving as director of student services for the Department of Public Policy at the UCLA Luskin School of Public Affairs for the past 20 years. To make a gift to the Maciek Kolodziejczak Fellowship Fund, go here. Michael Stoll and Michael Lens will partner with the Los Angeles Police Department (LAPD) to study data from stops and arrests over time and across different precincts. 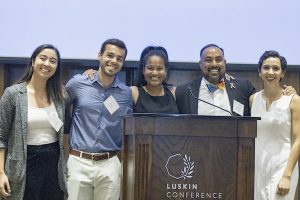 UCLA Luskin School of Public Affairs researchers have been selected to join the Research Network on Misdemeanor Justice based at the John Jay College of Criminal Justice in New York. 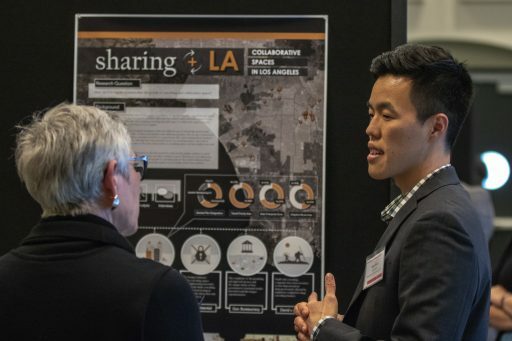 Michael Stoll, professor of public policy and urban planning, and colleague Michael Lens, assistant professor of urban planning at the Luskin School, will lead research efforts focused on policing patterns related to misdemeanors in the city of Los Angeles. 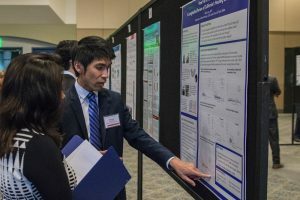 Six sites were selected by the Research Network based on proposals submitted from 39 institutions across the United States. 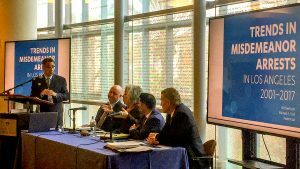 The Research Network on Misdemeanor Justice at John Jay College of Criminal Justice on Feb. 16, 2017, announced the six sites — Los Angeles; Toledo, Ohio; Durham, N.C.; Seattle, Wash.; Prince George’s County, Md. ; and St. Louis, Mo. — selected to join New York City as part of the network. The core sites will use data analytics to inform policy discussions and reforms regarding trends in the enforcement of lower-level offenses. Through a generous $3.25-million, three-year grant from the Laura and John Arnold Foundation (LJAF), the Research Network builds upon the success of the Misdemeanor Justice Project in New York City. “We are excited to work with the core sites and to help inform their policy decisions on critical issues regarding the role of the criminal justice system in responding to low-level misconduct,” said John Jay College President Jeremy Travis. 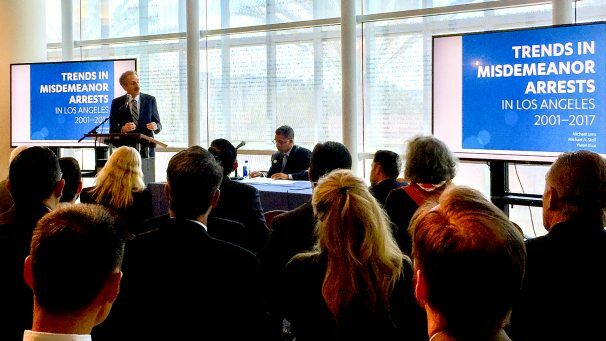 The Research Network is a national alliance of seven jurisdictions that will examine trends in the enforcement and disposition of lower-level offenses at a local level and, for the first time, at a cross-jurisdictional level. 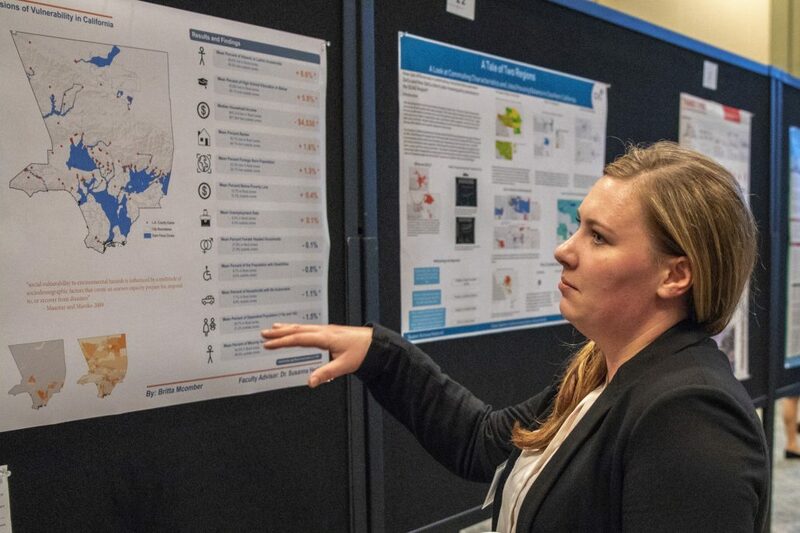 The Research Network, working with research institutions, data partners and stakeholders, aims to build data infrastructure at a local level. The Network also seeks to inform smarter criminal justice policies that enhance public safety, increase public trust in the police and implement fiscally responsible policies, particularly surrounding behaviors that involve officer discretion. Stoll and Lens will partner with the Los Angeles Police Department (LAPD) to study data from stops and arrests over time and across different precincts. The data will be used to help them identify possible “misdemeanor hot spots” where diversion programs could be more effective. 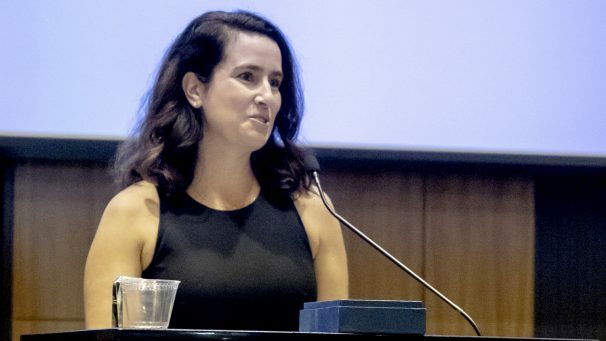 “The larger good in studying policing related to low-level offenses will be to figure out how the LAPD can police smarter and more effectively,” Stoll said. He added that there is evidence that individuals involved in multiple misdemeanor offenses have a high probability to go on to commit a felony offense, and that intervention and diversion at the misdemeanor level can be effective in reducing felony offenses. In looking at misdemeanors and police intervention over time, Stoll and Lens hope to build a network in Los Angeles supportive of this effort. This includes partnering with the city attorney, nonprofit organizations and diversion programs. The selection criteria for the six sites included a commitment toward evidence-based reform in their local jurisdiction and the availability of high quality administrative data on arrests for lower level offenses, summonses, pedestrian stops and case outcome data that includes pretrial detention. The Research Network received 39 proposals. The research partners are UCLA, University of Toledo, North Carolina Central University, Seattle University, University of Maryland and University of Missouri—St. Louis. Enforcement of lower-level offenses has a profound impact on the criminal justice system. It can overwhelm the courts and delay case processing, often resulting in large numbers of individuals held on pretrial detention. High-volume activity serves as the basis of public opinion about police and the legitimacy of the criminal justice system. 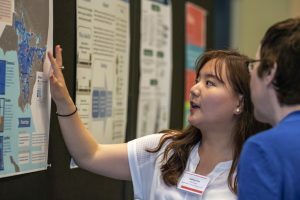 The Research Network works with criminal justice stakeholders to obtain accurate data, provide objective analyses and disseminate findings to key stakeholders in the community, renowned scholars and policymakers to spur a national dialogue. Research on incarceration in the United States by UCLA Luskin Public Policy professor Michael Stoll figures prominently in a newly released report on criminal justice reform by the White House Council of Economic Advisors (CEA). Much of the report’s introductory material focuses on Stoll’s research about the skyrocketing level of incarceration in the U.S. and its rapid increase since the 1980s. It also cites data about the disproportionate ratio of African Americans and Hispanics behind bars — more than 50 percent of the prison population nationally. A White House presentation and panel discussion outlined the problems, as well as the economic and social costs of incarceration. Today more than 2 million Americans are incarcerated — the largest prison population worldwide — amid data showing declining crime rates. Stoll and longtime colleague and collaborator Stephen Raphael of UC Berkeley attribute both the lengthening of sentences and the tripling of prison admissions for drug crimes as being significant contributors to the high number of inmates over the past several decades. The CEA analysis cites, among other sources, Raphael and Stoll’s 2013 report “Why Are So Many Americans in Prison?” (Russell Sage Foundation). In addition, their research shows that during this time the length of time served in prison has also increased substantially. “President Obama is pursuing criminal justice reform currently and the report is being used in a variety of ways to justify some of these efforts,” said Stoll, who also co-edited with Raphael the 2006 book “Do Prisons Make Us Safer?” (Russell Sage Foundation). 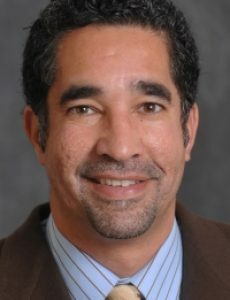 “We believe that the first step to creating a more fair system is to roll back the tough sentencing reforms, such as truth in sentencing and minimum mandatory sentencing as well as habitual offender laws,” said Stoll, pointing out that the research also shows that this can be done without appreciably harming public safety. 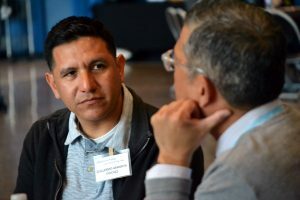 In conjunction with the CEA report, “Economic Perspectives on Incarceration and the Criminal Justice System,” the U.S. Department of Justice has designated the week of April 24-30 as National Reentry Week “to highlight how strong reentry programs can make communities safer,” Obama said. Although the president announced that the new CEA report details the economic costs associated with the incarceration rate in the U.S., he also recognized that each year more than 600,000 inmates are released. 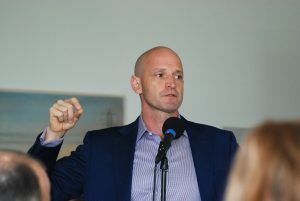 Consequently, said Stoll, “There is a unique political window of opportunity to get some real reform done.” As an example, Stoll said, sentencing reforms at the federal level have reversed punitive sentences for less-violent drug offenders. At the state level in California, less harsh sentencing guidelines were recently implemented for nonviolent offenders. For Stoll, the real hurdle will be getting an agreement across the political spectrum regarding sentences for those charged with more violent offenses. “The problem, politically, is that it takes just one heinous violent act committed by someone released early from prison, or when punitive sentences are reversed, to sour elected officials and the public from making these smart criminal justice reforms,” Stoll said. This is the question asked in the title of a recently published book by the policy scholars Michael Stoll and Steven Raphael. They discussed the question this past week at a lunchtime talk hosted UCLA Luskin’s Department of Public Policy. 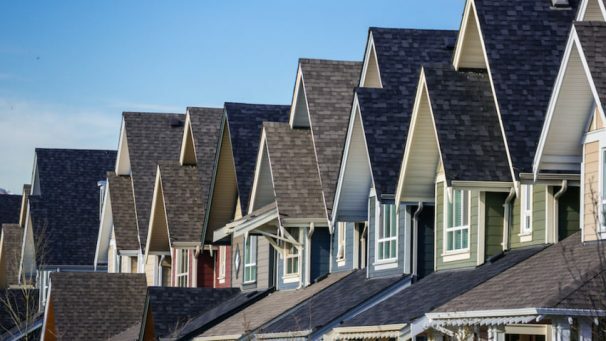 Stoll, professor and chair of the department, and co-author Steven Raphael, professor of public policy at UC Berkeley’s Goldman School of Public Policy, said that while asking the question seems obvious, getting to the question took a long time. Arriving at the question posed in the title involved getting past myths such as the deinstitutionalization of the mentally ill between the 1950s and 1970s, or the introduction of crack into Americas cities and its supposed related effects on crime. And, while “race does matter,” Stoll said, citing the disproportionately high incarceration rate of African American males, “this is an American problem and requires an American solution,” pointing out that the U.S. incarceration rate is “unparalleled” (more than 700 per 100,000) compared to Europe and the rest of the world. 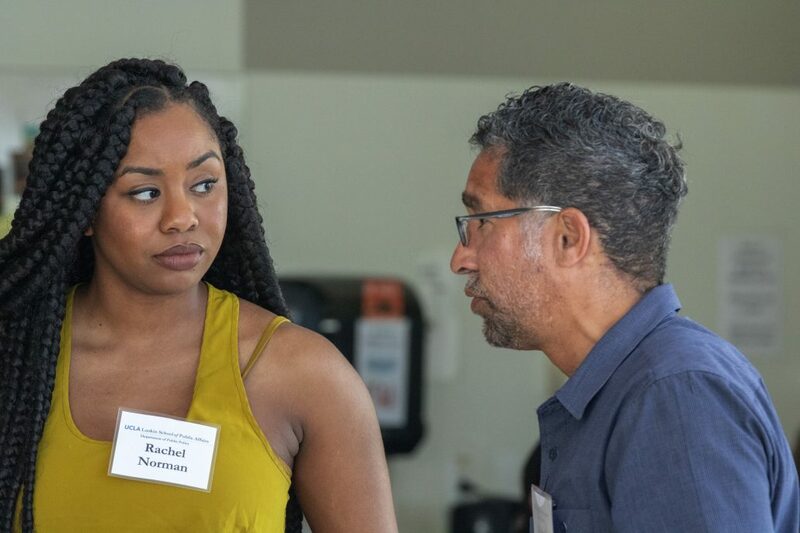 Stoll and Raphael, who are longtime research collaborators, looked closely at the reasons why the incarceration rate has soared over the past decades into the millions nationwide, despite historically low rates in crime. Wading through all the popular conclusions and other factors that do not explain why incarceration has gone up so rapidly, their research pointed to political choices. The bottom line for Stoll and Raphael is that since the 1980s, this increase is “attributable to changes in sentencing policy,” which has resulted in longer sentences, for example. New sentencing guidelines, “get tough on crime” policies and other politically driven efforts to address crime have only compounded the problem, pushing the system to the point where the costs of maintaining such a high incarceration rate begin to outweigh the benefits. In their book, published by the Russell Sage Foundation, Stoll and Raphael explore alternatives aimed at reducing this incarceration trend. 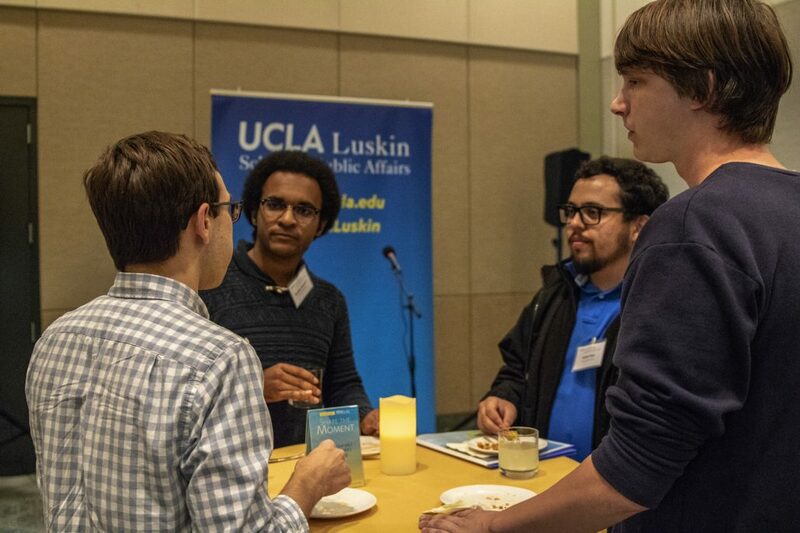 The entire discussion is available for view on UCLA Luskin’s iTunes U channel.